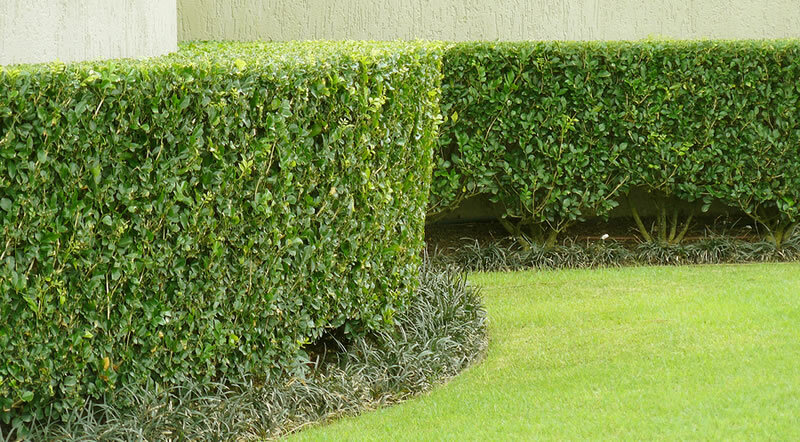 Keep Your Hedges And Shrubs Looking Nice, Healthy, And Uniform. Hedges, shrubs, and trees don’t stop growing and in order to keep them healthy and uniform looking with even growth it’s important to keep them trimmed (or pruned). The dead and dying branches should be trimmed away and the new growth should be properly pruned to improve their appearance and encourage healthy growth. What Type Of Pruning Do You Need On Your Property? Do you have a large privacy hedge that needs to be trimmed? Do you have many smaller bushes or shrubs that need to be trimmed? Are you trying to remove tree branches that are close to your home? Are you trying to restore the view through your windows? Green Acres Lawn & Landscape is a licensed and insured Kansas City landscape maintenance company that specializes in trimming and pruning hedges, shrubs, bushes, and small trees. Whether you need to prune a privacy hedge that is growing out of control, trim all the boxwoods along your driveway, shape all of your garden shrubs and bushes, or trim up the trees on your property we’ll be able to help you bring your property back into a manageable state. There are limits to the tree work we can do for our clients and it’s usually limited to what we can “safely do”. We can only prune and trim trees and hedges that we can reach with a ladder. If a ladder is not possible we can recommend a local tree company who can take care of any dangerous tree trimming. We will remove all of the trimmings and dispose of them at a green waste facility. If you’d like to get an estimate to trim your hedge, trees, shrubs, or bushes please give us a call (913) 422-5111 or fill out our online contact form and we’ll get back to you right away.